I love this new infographic Growing Cities developed encouraging urban food production. Grow where you are, indeed! Today I’d like to share about my new acquaintance at the Clermont Farmers’ Market: Aurora from Two Sisters Natural Soap. Not only is Aurora one of the kindest, friendliest souls I’ve met, she is an artisan soap maker and a wealth of knowledge about anything relating to natural body care. All this, and her soaps are absolutely FANTASTIC! They smell out-of-this-world, don’t dry my skin, and I know they’re all natural and made with love and care. Since the showers in our house are piped to drain into the garden and we finished our outdoor garden shower, it’s important for us to use biodegradable, natural bath products. You can now find Two Sisters on my local Resources page! 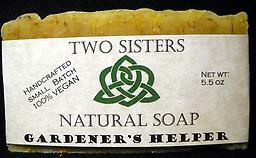 Two Sisters’ Gardener’s Helper soap is one of my favorites! There are at least four reasons why I insist on what I’ll call “real” soap (simple ingredients, biodegradable, homemade). Better for the Earth: Natural, biodegradable ingredients are so much better for the Earth. They won’t damage water ecosystems with phosphates or pollute with chemicals. Better for us: You may have heard of sodium laureth sulfate, phthalates, parabens, formaldehyde and diethanolamine being present in our body products. This article from the Washington Post explains the dangers associated with the body care products of our industrialized civilization. When you make your own or buy body products from trusted sources, you can rest assured that there’s no formaldehyde or other creepies in it! No animal testing: Not only is it wrong, but there is no need to when you know the artisan soapmaker, trust their ingredients and promise to not test on animals. 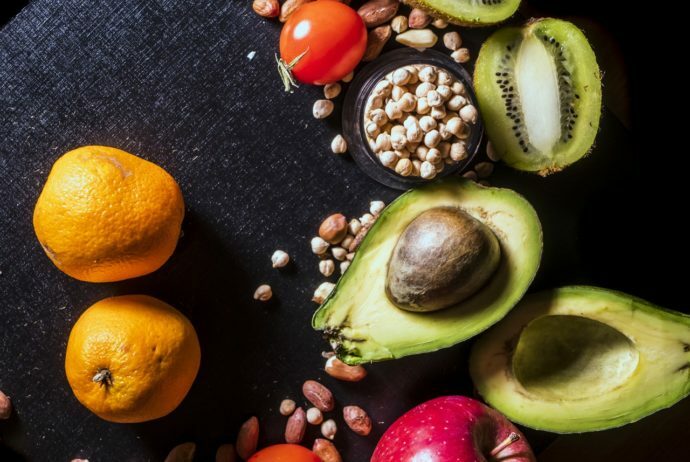 Support local producers: Instead of giving your money to large multinational corporations whose products might be made by wage slaves on the other side of the world or at least in a large laboratory or factory, provide someone in your locale the opportunity for meaningful work by supporting what they do! Plus it’s going to be a more personal, better product; you can talk to them about how they make it, what’s in it and where the ingredients come from. I learned in my herbal classes that what you put on your skin is just as important as what you eat. Our skin is our largest organ and readily absorbs whatever comes into contact with it. With this sentiment in mind, I am mindful to use totally natural body products whenever possible. Another great thing about real soap is that it is naturally emollient – it moisturizes the skin. Two sisters also incorporate medicinal herbs like calendula and lavender into their soaps, which not only help heal the skin, but smell amazing too, not with artificial fragrances, but with homegrown herbs. Sure, you might have to deal with a little more soap scum by using real soap, but that’s what the baking soda is for! With all of the vital reasons to stick with real soap, there’s no reason to support industrial soaps or products. And if you’re in Central Florida come out to the Clermont Farmers’ Market to support Aurora (and me!). Her sister, Sierra, is near Umpqua, Oregon, so if you’re there you can find their soap. If you’re somewhere else, see if there’s a small-batch natural soap maker near you, or support these lovely sisters and order from them online. If you’re really getting into the local, diy spirit, make your own soap. I’ve heard it’s not that hard, and it’s definitely on my crafty to do list! The market April 7th was wonderful. The weather was finally cooperating and gave us a glorious sunny day. 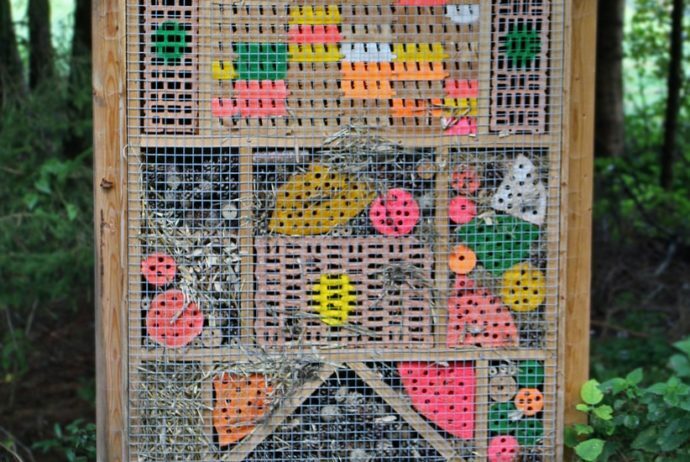 I sold or bartered all of my produce and came home empty coolered! And that’s what I love to see! 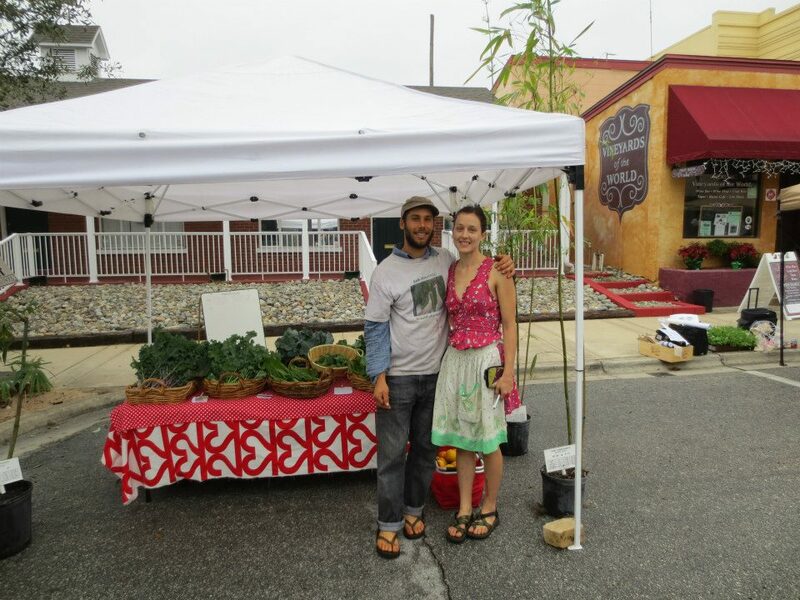 Thank you to all my regulars (and new folks) who came out to get your kale and support me doing what I love – growing delicious, fresh, nutritious vegetables! 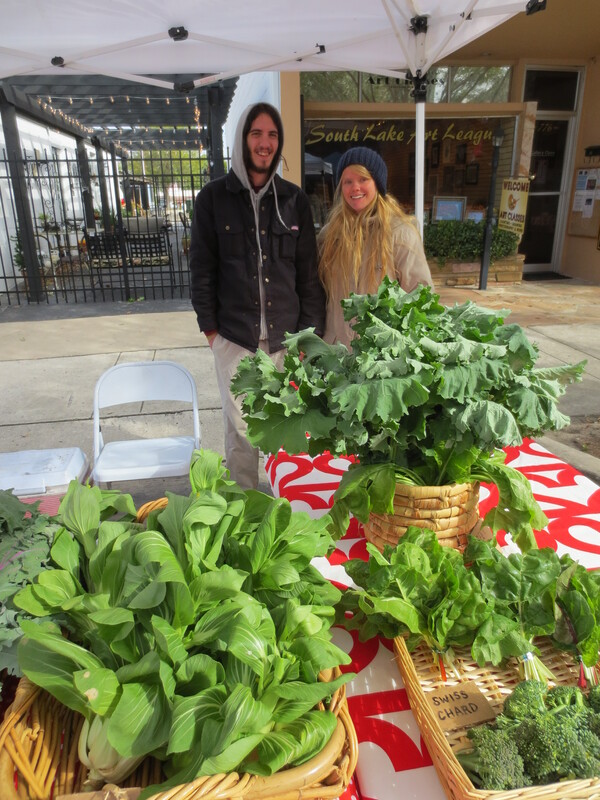 The Food Forest attended our first farmers’ market in downtown Clermont last Sunday. I’m excited to report it was an exhilarating and fun day! 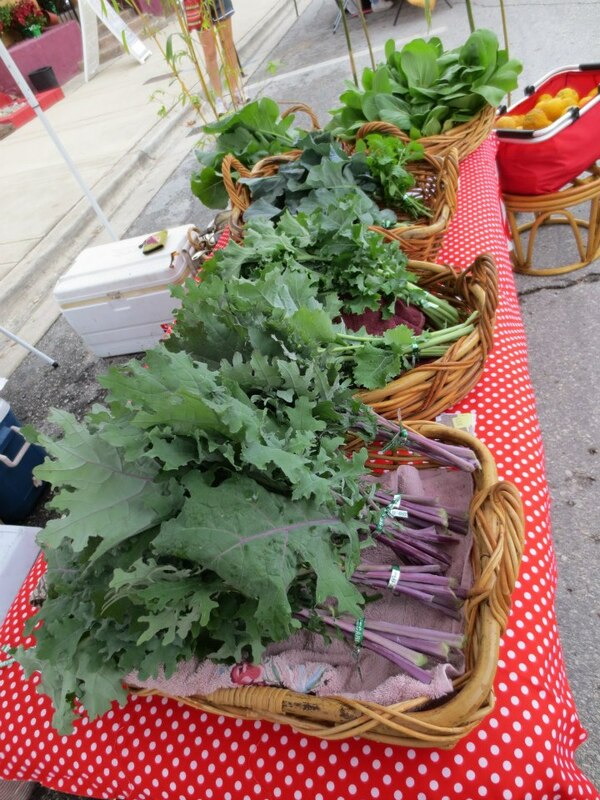 I was positively beaming to share with my Lake County locals the fresh veggies from our farm. 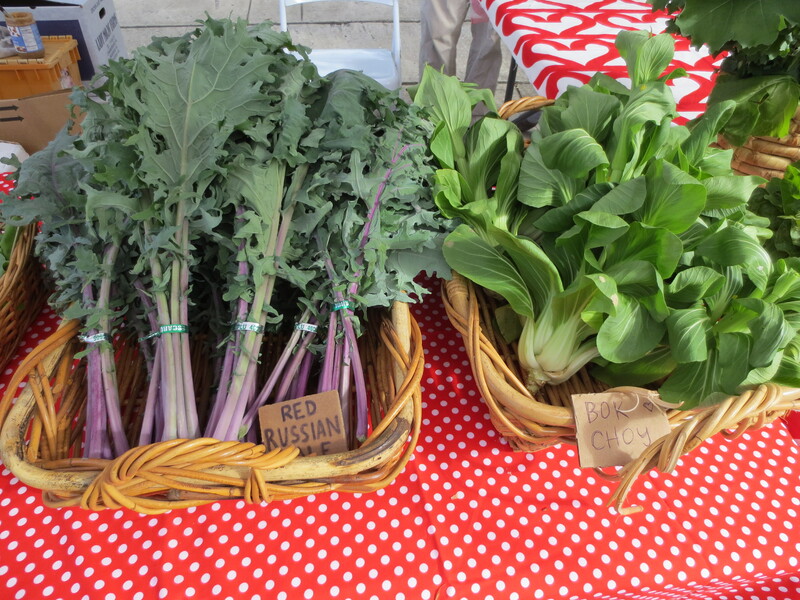 The best compliment we received, I believe, was from a man buying kale and broccoli for himself and his daughter. 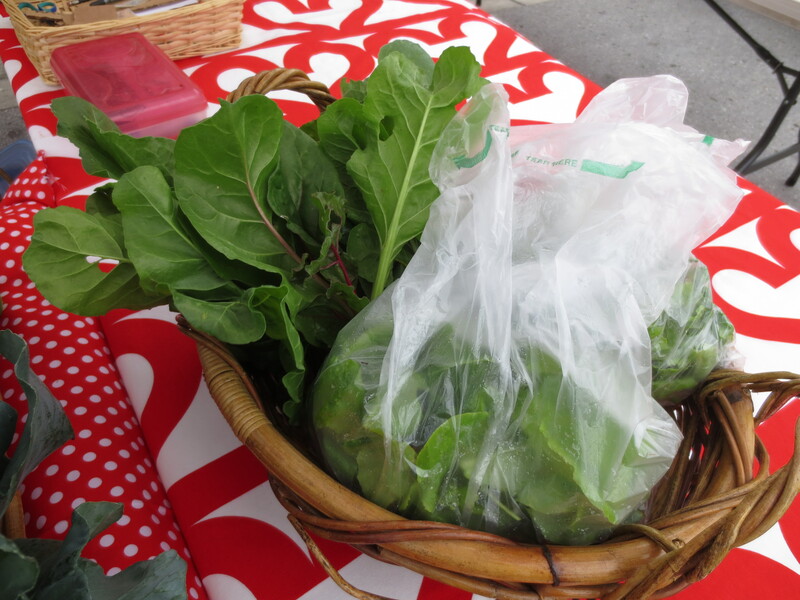 When I told him, “I just picked these this morning,” he replied, “I can tell!” It was wonderful let the veggies speak for themselves and to see the pleased faces on my customers who had been looking for a source of local, organic vegetables. I believe I had a smile on my face all day, despite the torrential downpour that happened mid-way through the market. Tim and I in front of our table at the market. Meeting the market customers was an uplifting experience, as was meeting the other vendors. The woman vending next to me was selling her homemade, all-natural soaps and cosmetics. She was so inspirational with her non-toxic body care items and so giving of product and inspiration. I hope everyone who bought from us is more than pleased with the food, and I hope I can earn regular customers for a long time to come! 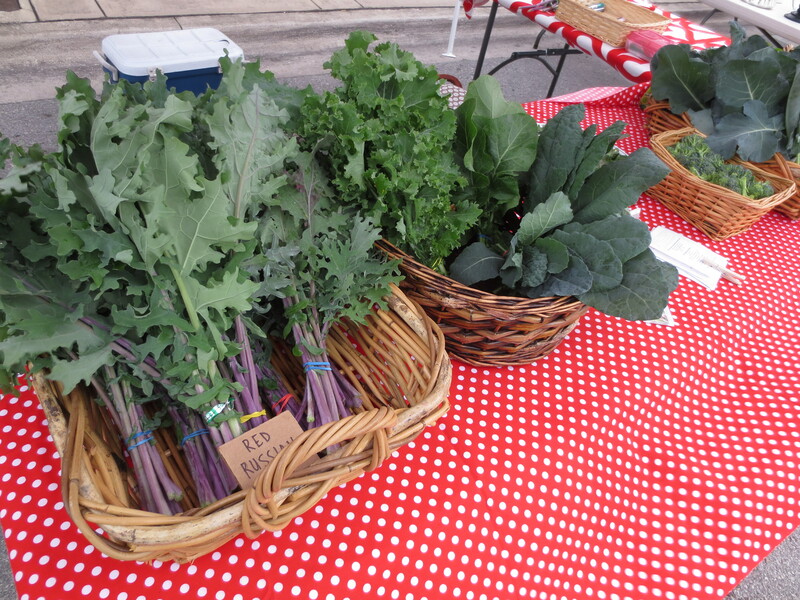 Our table at the first Clermont farmers’ market.